feel bad about the many types of emotional sensations that arise. Unrealistic ideals of the emotional perfection that meditation might bring often create an inability to face our actual humanity or to continue practicing. The energy in “negative” emotions, often referred to as defilements or mental afflictions, can be used to fuel our practice, which is good, as this is much of what we have to work with. This paralysis happens because people tend to feel that “negative” emotions should not and indeed must not arise and are despicable, worthless, shameful, and embarrassing. While there is much to be said for consciously understanding and/or restraining the actions of body, speech, and mind that would otherwise result from destructive emotions, there is also a lot to be said for using the tremendous energy of the wide range of emotions in skillful ways. Basically, until we are awakened, some odd mixture of compassion and confusion motivates everything we do, as mentioned already, and so we must learn to work with this. Further, these potentially useful emotional energies will continue to arise like the weather, even in awakened beings (contrary to popular belief), so we must learn how to deal with them and use them well. If you have a Vajrayana background, or even if you don’t, you may benefit from books by Rob Preece that address skillful and unskillful relationships to the emotions and other topics. Remember that these practices and teachings are not about becoming a nonexistent entity devoid of emotions, but about clearly understanding the truth of our humanity and life. Becoming fluent in the true nature of all categories of sensations, including the sensations that make up all categories of emotions, is a particularly good idea and highly recommended. This might even be undertaken as a systematic practice by those who are dedicated to thorough understanding. Thus, if you are doing noting practice, which I highly recommend, try to note precisely which emotions you are feeling, such as fear, boredom, anger, confidence, restlessness, joy, jealousy, dread, elation, envy, frustration, doubt, etc. 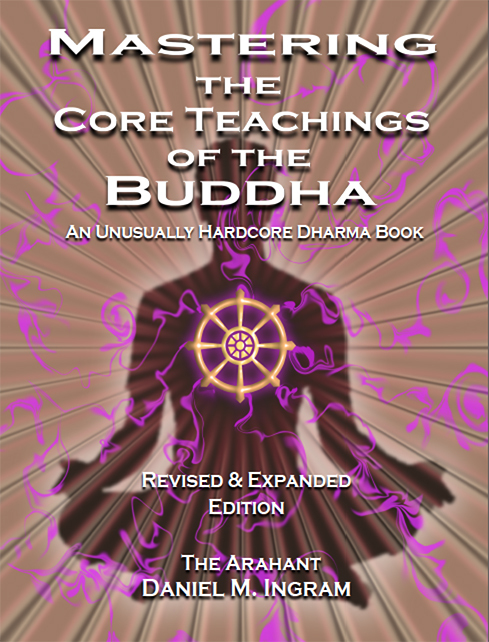 For those who want more information on the many and interesting mental factors that can be investigated, consider reading A Comprehensive Manual of Abhidhamma, translated and explained by Bhikkhu Bodhi, which also contains many other useful bits of information woven in with a bit of archaic physiology that can be ignored. The Abhidhamma also outlines very clearly how to investigate and identify the triggers for the emotions. I personally gave the emotions what I now consider not nearly enough attention in my early practice years, preferring to break reality down into little buzzing blips of pulsing, fluxing phenomena, which was powerful for insight purposes, but left the emotions insufficiently addressed on their own terms. As a result, they were less transformed or carefully integrated than they might have been had I given the feeling life more attention. I found that when I went back and gave the emotions more basic, bare, honest attention, rather than sidestepping them by prematurely breaking them down into blips and pulses, it really helped to provide balance and equilibrium in my practice. Still, there is also much to be said for dealing with emotions from a place of insight, and that is what breaking down reality into little blips and pulses first allowed. On the other hand, it can be extremely helpful if the powerful energy of the emotional life can be harnessed to energize our practice. Some level of skill and moderation is required here, a middle way between repression of the defilement and energy transmutation. Either extreme can be harmful or helpful depending on how much wisdom the practitioner has, the quality of the guidance they receive, and how well they put that guidance into practice. There are ancient and modern debates about how much we should go into our emotions, repress our emotions, or acknowledge our emotions but not dwell on them or unskillfully act on them. It is a hot topic in current psychology as well, with Freudian psychoanalysis and related techniques on one end and cognitive behavioral therapy and similar schools on the other. Clearly, if we just let emotions run amok we will be in big trouble. We also must figure out how to acknowledge our emotions so as not to be in denial of them. Emotional denial and repression are serious problems that can lead to unrecognized or unacknowledged shadow sides giving rise to explosions of emotion and unskillful actions, all the way to the mass destructive actions issuing from a mob mentality. Further, recent research shows that repressing emotions is physiologically toxic. 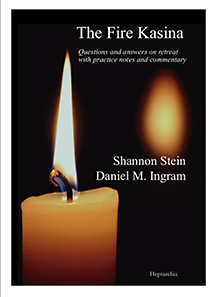 Still, the fine points of how to handle our more “negative” emotions are many, complex, and not easily resolved, but for the sake of this discussion, I am advocating careful, honest, human acknowledgement of feelings and then finding the useful elements that can skillfully fuel practice. Those who are passionate about practice and learning to practice correctly are much more likely to make progress than those who are not. Those who can channel rage, frustration, lust, greed, despair, confusion, and anguish into trying to find a better way are more likely to have what it takes to finally attain freedom. Those who can sit with the specific sensations that make up rage, lust, anger, confusion, and all the rest with clarity, precision, acceptance of their humanity, and equanimity are even more likely to get enlightened. This paragraph deserves to be read more than once. It is common for people to feel badly about their lack of perceived progress. This can cause extreme frustration, self-judgment, self-hatred, jealousy, depression, extremes of blind faith, and rigid adherence to dogma. It can paralyze their practice if they get caught up in these or in thinking that desire for awakening is a problem when in fact it is the most compassionate wish that someone could have for themselves and others. The whole trick is to channel this energy into actual practice using good technique rather than into thoughts of progress or comparison. Simply allow yourself to examine the sensations that make up this frustration, self-condemnation, depression, and jealousy, etc. In other words, don’t stop investigating when certain categories of sensations arise. Instead, rejoice in each “negative” feeling that you clearly identify in your sensate experience, not because it is a “negative” feeling, but because you had an honest moment of clarity about what was going on. Then, do something skillful with that feeling. • Stabilize precisely on the patterns of sensations that make it up and perhaps even allow these to become stronger if this helps you to examine them more clearly. You might do this practice with eyes open if the feelings are very strong and you wish to add the perspective that space brings to help maintain a more open perspective. • Find where these are in the body, and discern as clearly as possible what sorts of images and storylines are associated with these physical sensations. • Be absolutely clear about the full magnitude of the suffering in these, how long each lasts, and that these sensations are observed and not particularly in our control. • Find the compassion in it. Take a minute or two (no more) to reflect on why this pattern of sensations seems to be of some use even though it may not seem useful in its current form. • Ask yourself: Is there a wish for yourself or others to be happy in these sensations? Is there a wish for the world to be a better place? Is there a wish for someone to understand something important? Is there a wish for things to be better than they are? Is there a wish to find pleasure, tranquility, or the end of suffering? • Sit with these questions, with the sensations that make them up, allowing them to be strong enough for you to see what is going on but not so strong that you become completely overwhelmed by them. • Notice that fear has in it the desire to protect us or those we care for. Anger wants to right a perceived wrong, wants us or the world to be happy and work well, or for justice to be done. Frustration comes from the caring sensations of anger being thwarted. Desire is rooted in the wish to be happy. Judgment comes from the wish for things to conform to high standards. Sadness comes from the sense of how good things could be and from the loss of something cherished. I could go on like this for a whole book, so don’t turn these into dogma; each has much more nuance that you can explore. • Actively reflecting along these lines, sit with this compassionate wish, acknowledge it, and feel the compassionate aspect of it. • Allow the actual sensations that seem to make up the feeling of wanting itself to be directly understood as and where they are. • Remember that this same quality of compassion is in all beings, in all their unskillful and confused attempts both to find happiness and to put an end to their suffering. • Sit for a while with this reflection as it relates directly to your experience. • Then, examine the mental sensations related to the object that you either wish to have (attraction), wish to get away from (aversion), or wish to ignore (ignorance). • Examine realistically if this will fundamentally help yourself and others and if these changes are within your power to bring about. If so, then plan and act with as much compassion and kindness as possible. • Remember that all the rest of the suffering of that emotional pattern is created by your mind and its confusion, and vow to channel its force into developing morality, concentration, and wisdom. Reflection on the fact that the emotions have unskillful components as well as skillful ones can give us a more realistic relationship to our hearts, minds, and bodies. This sort of reflection can allow us to grow in wisdom and kindness without blindly shutting ourselves down or chaining ourselves to a wall. From a certain point of view, we are all doing our best all the time, and the problem is just that we do not see clearly enough. The basic spirit embodied in this set of instructions about how to see the skillful and unskillful elements in all emotions will come up a few times later in more advanced sections, so it is worth paying attention to it here. These instructions are worth revisiting if you find yourself in some of the difficult meditation stages described later. If we are going to take on feelings at a more formal vipassana level, we might try identifying a feeling we wish to clarify and get to know more skillfully. We can then acknowledge the transient sensations that make up the image of the object of the feeling and notice the oscillation between the sensations that make up our mental image of that object and the tenderhearted center of the feeling. We often imagine that if we acknowledge our own tenderhearted center we will somehow jinx ourselves to become more susceptible to emotional injury. However, the opposite is true, as that sort of investigation can help reveal a more healthy and clear relationship to our feeling life. This can be taken as a formal practice when difficult feelings arise or even with ordinary feelings across the wide range of feelings by those who like to take this type of practice deep. There is a teaching from Buddhist tantra related to the five dhyani Buddhas or five archetypal Buddha families that does a good job of dealing with the wide world of emotions and their helpful and less helpful aspects. There is also a teaching called “The Six Realms” that can help as well. Both teachings are too rich and deep to do them justice here. If you are interested in these fine teachings, you might check out Journey without Goal (particularly chapter nine, which is one of the most reread chapters of any of my dharma books), Cutting Through Spiritual Materialism, and Transcending Madness, all by Chögyam Trungpa Rinpoche. Note that the fundamental rule when applying emotion-derived effort in practice is to put it into practice rather than thoughts about practice, thoughts about some goal that seems far off, thoughts about success or failure, thoughts about our strengths or weaknesses, or even thoughts about putting effort into practice. These traps are all too common, blindly waste the vast power inherent in our emotional life, and perpetuate rather than reduce difficulties. Some of us will have to learn the hard way, and unfortunately some will never learn at all. I remember some time ago when I realized that something I thought I had thoroughly understood was only partially understood. I was extremely unhappy about this, and decided to put the fullness of this compassionate rage into relentless, focused investigation of the three characteristics during whatever periods of time I could find during the day to do so. It was only two months later that I came to understand what I wished to, and I was grateful for the power of the emotional life and what it can lend to practice. Remember, there is love and wisdom mixed into even our “worst” emotions. If that is what we have to work with, let’s use it wisely. Some may then say, “That is not right motivation! You cannot proceed without right motivation.” Well, aside from the fact that this simply isn’t true, such people trap themselves in a catch-22. To attain this “very pure” motivation, to use dangerously misleading language, we must understand what it is that we want to use this “pure motivation” to understand. Thus, were we unable to proceed based upon our somewhat deluded motivations, awakening would be impossible. Luckily, awakening is possible, and the only tool we have is practice based upon necessarily semi-deluded motivations. I am extremely grateful that this seems to be enough if we are willing to use what we do have rather than fantasizing about some idealized us that does not exist. Without greed, rage, grandiosity, vanity, frustration, jealousy, arrogance, competitiveness, insecurity, fear, and a host of other delusions, we would hardly budge. We wouldn’t pick up dharma books, we wouldn’t go on retreats, we wouldn’t deal with our stuff, and we wouldn’t care at all. But we do care, and so we forge on. Thank the Metaphorical God for the power of our emotions and the pain the dark ones cause. They are the gasoline that fuels us on the road to understanding.